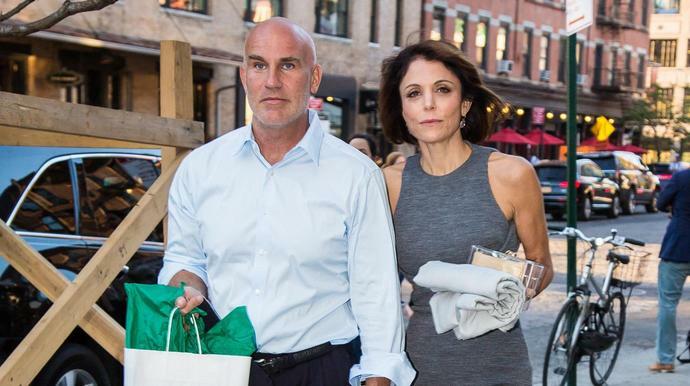 Bethenny Frankel is mourning ex-boyfriend Dennis Shields after he died on Friday due to an apparent overdose. The "Real Housewives of New York" star posted a heartbreaking photo on Monday morning of the late businessman lying in bed with her beloved dog Cookie, who died in October 2017. "Rest In Peace my sweet babies who gave me endless unconditional love," she wrote alongside the photo, adding the hashtag "#nowandforever." Shields, 51, who made a handful of appearances on the long-running Bravo reality show, was found unconscious and unresponsive in his Trump Tower apartment in New York City. EMS later pronounced him dead at the scene. Shields' family and Frankel reportedly attended his funeral in Long Island on Monday. "We are all heartbroken," Jill Shields, Dennis' ex-wife and a former high school classmate of Frankel, told People. "Dennis was, and will always be, the love of my life. His spirit lives on in our children. Please respect our family's privacy at this time." Frankel had been friends with Shields for nearly three decades, but they only started dating in 2016 after her contentious split from now ex-husband Jason Hoppy, with whom she shares 8-year-old daughter Brynn. Frankel and Shields had been described as an on-again-off-again couple and were reportedly not romantically involved at the time of his death. He, however, had nothing but glowing things to say about the businesswoman in his final interview on the "Listen Up Show With Mitchell Chadrow" podcast. "She's great. She's a great mother. She's a great person. She's really, really smart. She is terrific in every way," Shields said of Frankel. Frankel's "Real Housewives of New York" co-stars have mostly remained silent about the tragedy, except for departing castmember Carole Radziwill and Sonja Morgan. "I just heard the sad news about Dennis. He was a good man," the What Remains author wrote on Twitter after news of Shields' death broke. "My condolences to all his family and friends. So tragic." Morgan added that the situation is "heartbreaking" and that she spoke to Frankel the day before his death.